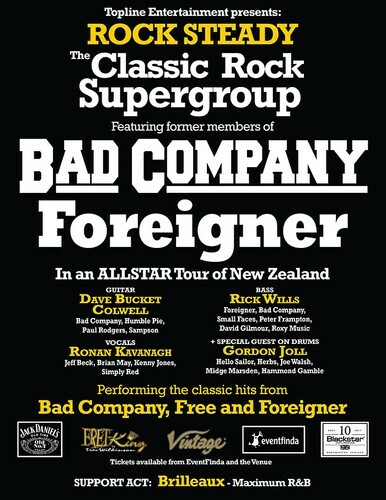 Topline Entertainment are proud to present for the first time in New Zealand "Rock Steady" featuring members from the multi platinum selling bands Bad Company and Foreigner in an all Star Classic Rock Super Group summer tour of New Zealand January 2018, playing all the hits from Bad Company, Free, and Foreigner. Former guitarist for Bad Company/Humble Pie. Serving for over 16 years with Bad Company, recording and touring with all 3 vocalists that worked with the band, Brian Howe, Robert Hart and the legendary Paul Rogers. Countless US Tours, several world tours, 3 studio albums and 2 live albums. 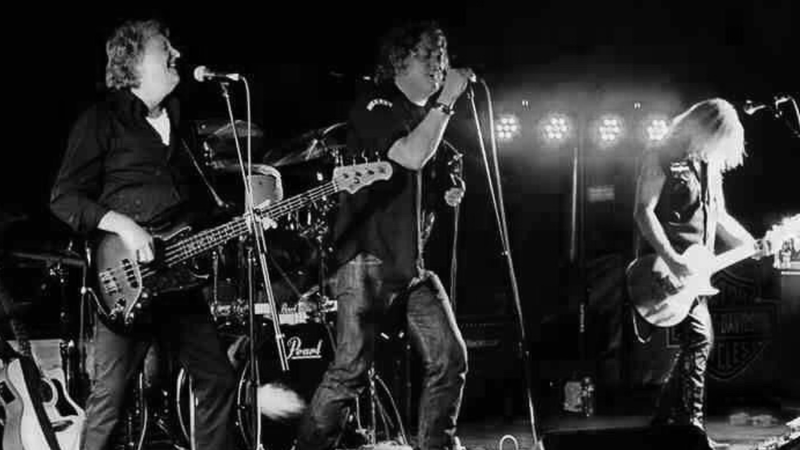 This included performing in the 2002 line up of the band which featured Paul Rogers on vocals and recorded the US Gold Certified live CD/DVD "Merchants of Cool" which featured guest performances from Slash (GnR) and Neil Schon (Journey). 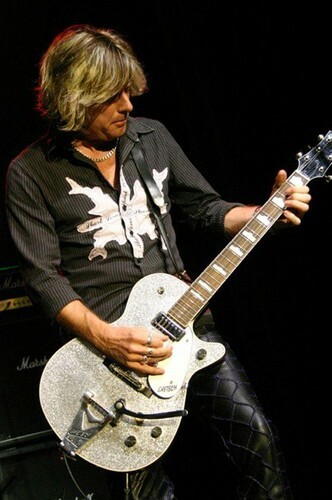 Dave also worked with the band Humble Pie recording and touring in support of their 2002 album "Back on Track". Dave also released his first solo album under the name Bucket & Co in 2010 which featured guest performances from members of Iron Maiden, Thunder and The Quireboys plus many more. After leaving Foreigner in 1992, he joined Bad Company and stayed with them until Boz Burrell rejoined the band in 1998. 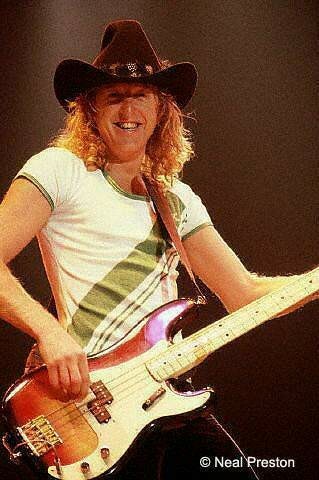 In July 1999 he filled in for Lynyrd Skynyrd bassist Leon Wilkeson for live shows when Wilkeson briefly took ill. On 24 April 2001, he appeared at The Steve Marriott Memorial Concert, as part of a backing band with Bobby Tench, Zak Starkey and Rabbit Bundrick. Wills was reunited with The Small Faces drummer Kenney Jones in the The Jones Gang during 2006 and appeared with The RD Crusaders for The Teenage Cancer Trust at The London International Music Show on 15 June 2008. 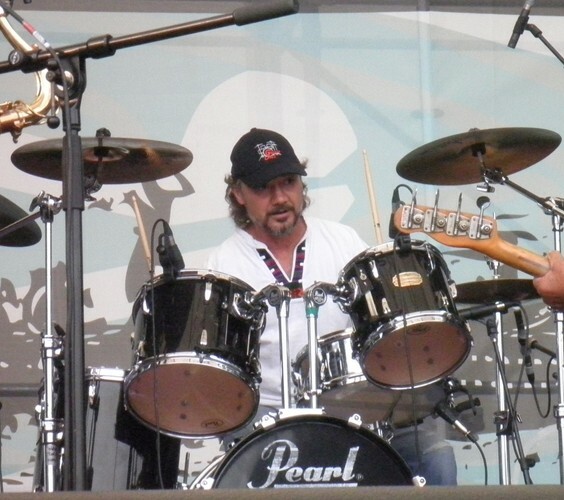 On 12 January 2015, in Sarasota, Florida, Wills and original drummer, Dennis Elliott, joined Foreigner on stage, to play "Hot Blooded". An international singer/songwriter from Ireland who has spent 25 years living and playing professionally in London ,Europe and The USA. He has worked and recorded with people such as: Jeff Beck, Brian May of Queen, Dave 'Bucket' Colwell of Bad Company, Kenny Jones of The Faces and the Who, Rick Wills of Foreigner, Harry James of Thunder. 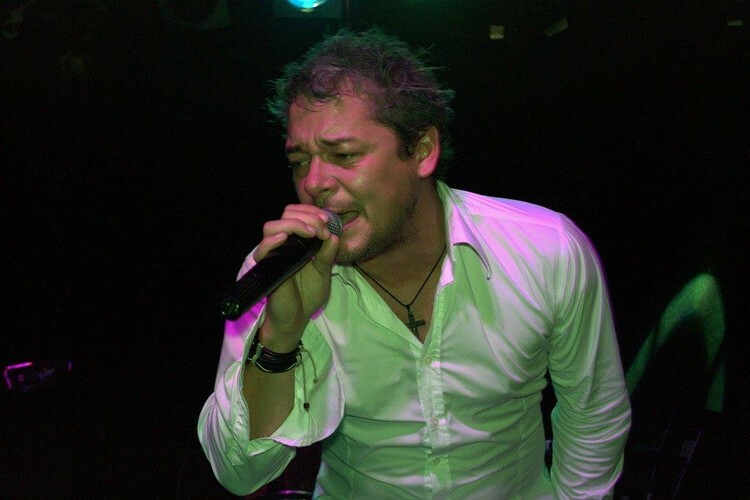 He has written for other artist such as Shannon Noll, Denise Pearson, 183 Club and continues songwriting for both himself and others. Gordon Joll is one of New Zealand's most accomplished musicians, a drummer of world class status who has played a part in shaping New Zealand's musical history for over 40 years, as the drummer for such great names as Joe Walsh, Herbs, Hello Sailor, Rock Candy, Auckland Philharmonic Orchestra, Billy T. James, Tom Sharplin, Hammond Gamble, The Mockers, Glen Moffatt, Brendon Ham, the list goes on. He is an inducted member of the New Zealand Music Hall of Fame. 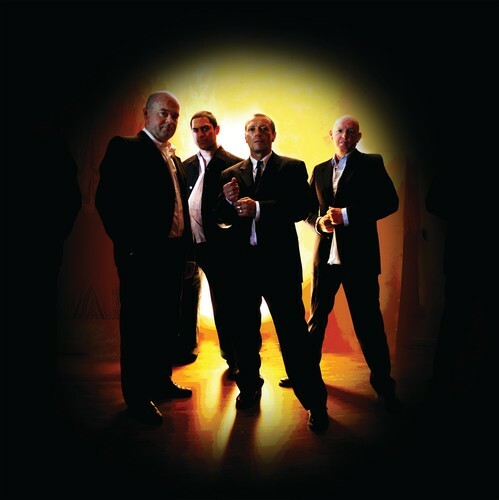 Gordon has recently toured with the Bourbon County Brothers as Kenny Rogers support band, backing for Jody Direen and other recent tours with Hammond Gamble and Midge Marsden. Support Band R an B Legends: Brilleaux. Tickets also available from venue: 09 403 7831.